Did you know that Constitution Day is a federal holiday that celebrates the day the Constitution Convention signed the Constitution on September 17th, 1987? 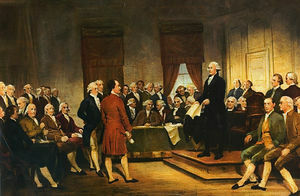 Did you know that since 2005 all educational institutions that are publicly funded are mandated to provide educational programming on the history of the American Constitution on that day? Homeschool families are invited to attend a Constitution Day program at 7 p.m. on Tuesday, Sept. 17 at the JA World Huzienga Building on the Broward College campus. The program will feature David Azerrad, a Constitutional scholar at the Heritage Foundation in Washington. Interestingly, David is a French-Canadian who marvels at the American system. 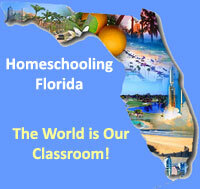 He will be giving a presentation that went over very well with Orlando-area homeschoolers last year. To secure a seat, register online at http://jmi-constitutionday2013.eventbrite.com. For more information call (850) 386-3131. Thank you, very interesting my family took the time to learn this information we would like to visit, but we can not go the distance right now . the time and money maybe next year.we will look forward to this time. God bless .